The popularity of terpenes has been slowing rising lately, and it’s no surprise as to why. People everywhere are reporting incredible benefits from using their terpenes. This can all be attributed to a popular idea called the “entourage effect,” but what is this effect? What does it do for terpene users? Most cannabidiol studies these days use a synthetic, single-molecule CBD that has been made by a lab specifically for research. While this isn’t bad, it doesn’t give researchers the whole picture. Whole plant extractions usually contain THC, CBD, and anywhere around 400 trace compounds. When each of these compounds works together, they can create the “entourage effect” to intensify whatever the effects are of a plant. That means that using all parts of the plant brings about a greater effect than just small parts of the plant. Researchers quickly learned that the entourage effect needed to be included when determining their results. Using 100 milligrams of synthetic CBD isn’t the same as 100 milligrams of CBD-rich whole plant extract. The point is, cannabis works in many different ways. The results come from different aspects of the plant working together. 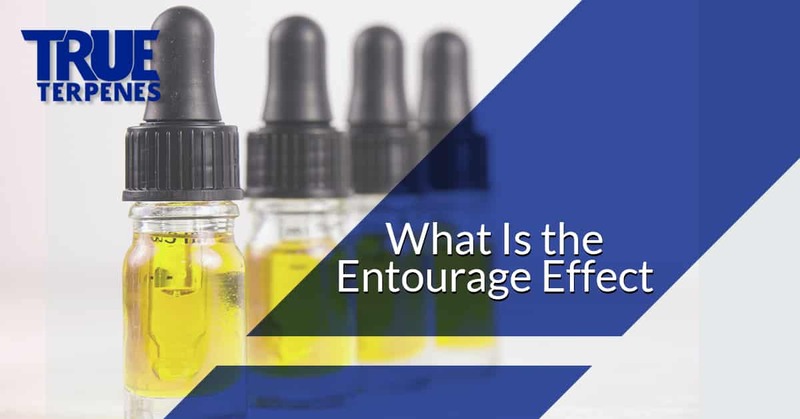 Terpenes contribute quite a bit to the entourage effect. These are volatile molecules that have a tendency to evaporate easily. When this happens, their scent floods our noses. As research has continued, aromatherapy has come to the foreground of holistic lifestyles. This idea comes from terpenoids and how they behave with the body. By identifying the top terpenes present in cannabis strains, we can use those terpenes to find benefit. While around 200 terpenes have been found in cannabis, we have only found a few that are worthy of our attention. These include monoterpenes, diterpenes, and sesquiterpenes. Each of them has isoprene repeating in their compounds. Terpenes are just as healthy for humans as they are for plants! Beta Caryophyllene, for example, can help ward off seasonal problems and help you shake off the day. Yes, this terpene is found in cannabis, but it is also found in the oil of oregano, black pepper, and in many green and leafy vegetables. We reap these benefits when we eat any of these. And, since this terpene is found so commonly in leafy vegetables, we get many of these benefits by eating a healthy diet with these veggies. Other terpenoids and cannabinoids have been shown to enhance your day with uplifting effect. The future is bright with terpenes! Terpenes are not just found in cannabis—they can be found in most plants on earth. We believe in taking advantage of the healing powers and strengths found in the world around us. If you are interested in learning more about our terpenes for sale and which could benefit you the most, take a look at our isolates. We look forward to helping you! Terpenes Profile: Beta CaryophylleneAre Terpenes Legal?